Great relationships are the difference between success and failure in business. Patrick will share three simple yet powerful rules for building business relationships from his book The Connector’s Way that will help you stand apart from your competitors and increase repeat and referred clients. Watch Patrick in action here. 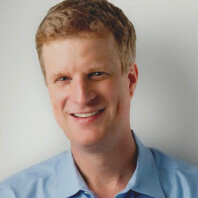 In 2002, Patrick Galvin cofounded The Galvanizing Group, a marketing communications company in Portland that helps companies create connections that increase loyalty, referrals, and sales without advertising. As the firm’s “chief galvanizer,” he has galvanized the growth of hundreds of businesses, from sole proprietorships to publicly traded companies. A National Speakers Association (NSA) member since 2005 and former NSA Oregon president, Patrick takes pride in delivering high-quality presentations that have a lasting impact. He has received enthusiastic testimonials for his keynote presentations, breakout sessions, and workshops for organizations throughout the United States, Canada, Latin America and Europe. He also served as president of the Oregon Chapter of the National Speakers Association. In 2016, Patrick published The Connector’s Way: A Story About Building Business One Relationship at a Time which has earned over 171 reviews on Amazon. It is a parable about a struggling business owner who discovers simple yet effective ways to cultivate relationships in the real world and online and uses them to fuel his success. Parking: Free in the lot. RSVP: Through Eventbrite. Online registration available until 8 am the morning of the event. Registration will also be available at the door. All attendees will receive a free copy of Patrick's book, The Connector's Way and the opportunity to have Patrick autograph his book.